Price-output is ab” all allal flf the equilibrium or the firm and industry . Since in a monopoly, a single firm constitutes the whole industry, there is no need for a separate analysis of the equilibrium of thc firm and of thc industry, as is done in case of perfect competition. Also, the price-output quillu ium of the fire will mean the price output determination under monopoly. 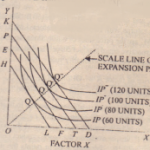 In the discussion of perfect competition we saw that the demand curve or the average revenue curve faced hy a perfectly compctl tivee firm is perfectly clastic and is represented hy a horizontal straightlinec parallel tothec X-axis. This is so because a producer under perfect competition cannot affect price by his own individual action. IIc has to accept the ruling market price as given and constant, and at this price, hc Gill sell any quantity of thc commodity, Uut this i~ not true in the case of a monopoly. A firm under 1II(lnll poly faces a downward sloping demand curve or average revenue (AR) curve. Therefore, if the 1II0nopolist lowers the price (If his product. thc quantity dcm.mdcd increases. and, if he raises the price, the quantity demanded decreases, In other words, if the wants to sell a larger output, he has to reduce the pi ice of his product. III that way, it is not only the price of the additional units that falls but the price IIf his total output gllC’ down. Since his i not a giclEE filctoll for him a~ It IS lor the producing under pel red completion. lurcher, ill perfect competition, since the average revenue curve is perfectly clastic and a horizontal straight line to X-a~is. 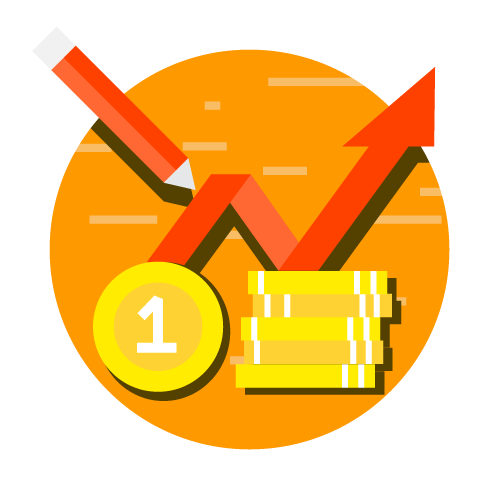 Ihe marginal revenue is always equal tll the average revenue. i.e., the lIIalginal revcnuc curve Cllilll’iuc’ with the aver age revenue curve. But unlike thl ill a poly. <incc average revenue f:llb as 1\I00e units Ill’ output arc produced and sold. the marginal revenue is always Jess than the average revenue. In other words, under monopoly thc marginal rcvcnue curve lics below thc average revenue curve. From the above analysis, it follows that even the monopolist is not frec of the market forces in cstab- Jishing his price, TIle monopolist cannot set his price high without losing sales. 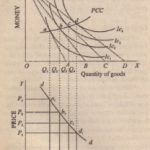 nor can he gain sales without charging a lower price, The question now arises: which particular price-output combination 011 his demand curve wi IIthc monopolist choose? This depends not only 011 the demand conditio’;s but also on the cost situation faced by thc monopolist. On the cost side of the picture ..as .n perfect COIIIpetition, the average cost curve is generally ll-shupcd. Marginal cuxl curve, as elsewhere, cuts the average cost curve at its minimum point.